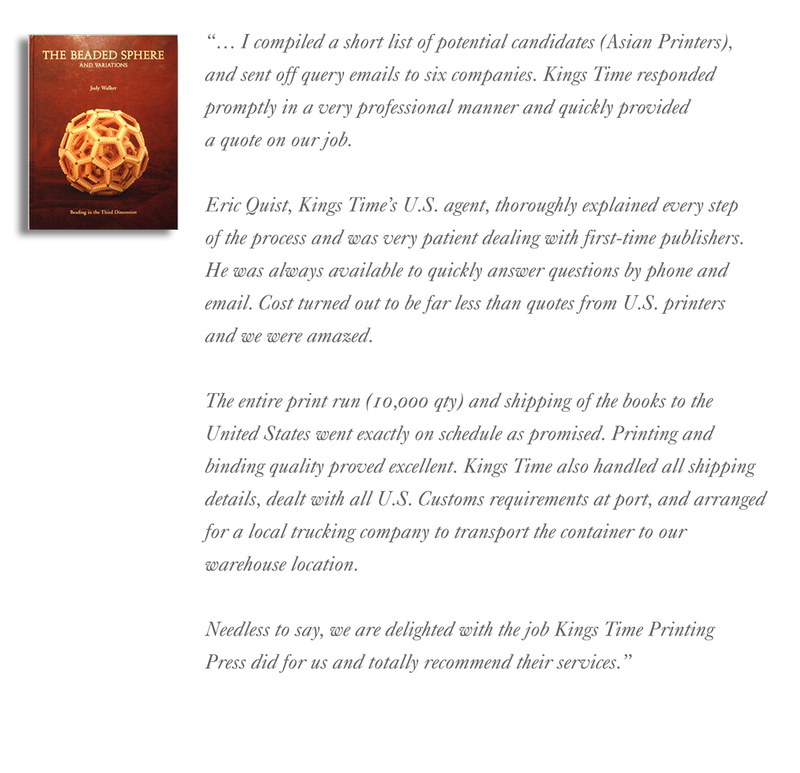 Founded in Hong Kong in 1967 by Mr. Peter Ho, Kings Time Printing Press, Ltd is a state-of-the-art, four-color printer, committed to producing the highest quality book and gift items for our valued client partners. We have built our business by providing exceptional value in manufacturing and service. With all production in-house, Kings time is easy to work with, reliable, and consistent even on the most challenging project! Shipping to the U.S. was exactly on schedule as promised. We are delighted with the job Kings Time Printing did for us and totally recommend their services." Kings Time prints and binds a wide range of beautiful four-color book and gift items. These include the highest quality 'museum grade' art books to simple children's board books. Our ability to print the highest quality pieces using 'Stochastic' screens is driven by the precise quality demands of some of our well known commercial clients, including Mercedes-Benz and Lexus. From computer-to-plate, pre-press to specialty binding (including boxed gift sets and multi-dimensional pieces), all aspects of the product are completed in-house. Send us your specs for a free quote! 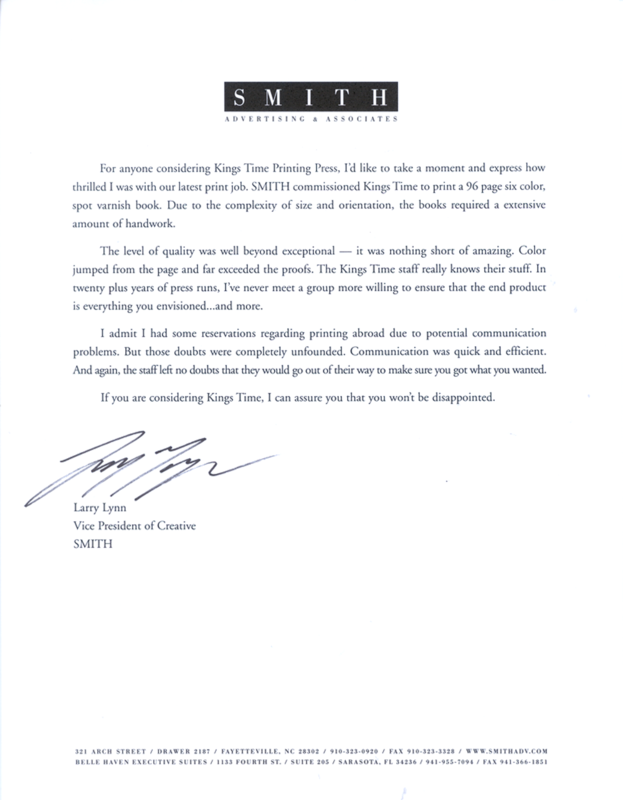 Kings Time has been committed to serving the North American publishing market for 25 years. By providing clients with honest answers and swift, efficient communication, we are a rich resource for four-color book printing and binding options that may have been overlooked by the publisher or commercial printer. ​Having assisted publishers with hundreds of successful publishing projects, Eric Quist, Director of Sales, leads our U.S. team. Together with our Asian partners, we offer tested solutions that fit within your budget parameters. ​​If you are considering Kings Time, I can assure you that you won't be disappointed." Kings Time Printing Press, Ltd.